This circa 1975 townhome was in dire need of updating. The original kitchen was located in the same open room space, but only occupied half of it! The other half was used as a sitting area with a sofa and t.v. 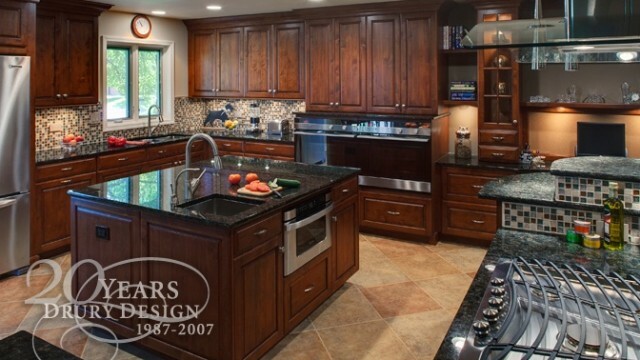 By encopassing the entire space with cabinetry, the efficiency of this transitional kitchen was increased two-fold. There was even enough room left over for a an expansive desk and display area.